Our primary focus is on night vision products. From night vision monocular and binoculars, night vision riflescope, night vision goggles, thermal scope and lots more, we’ve got you covered. We spend lots of time researching and compiling other customers’ reviews of night vision products. Hence, our site is committed to giving you comprehensive and unbiased opinions on all things adventure related. It’s also an avenue for companies that manufacture these items to showcase their brands. 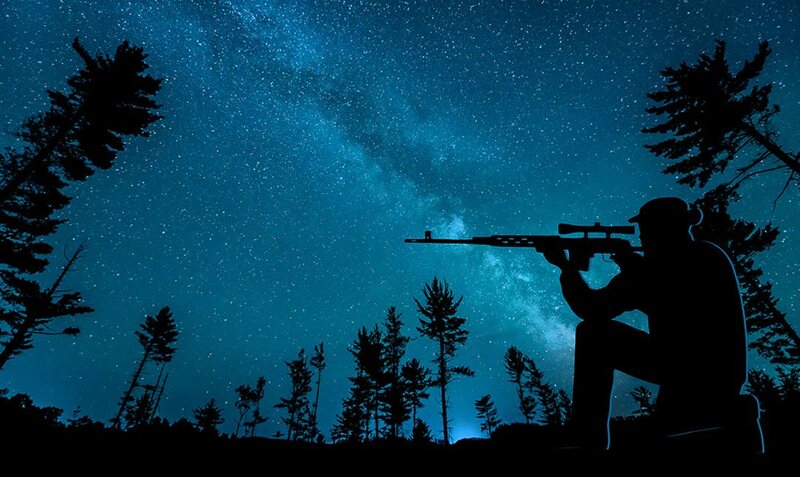 Just like a regular scope, a night vision scope allows you to see objects at night at a long distance which otherwise your naked eye cannot see. These are basically designed to be attached to rifles or crossbows or any other weapons. These consist of reticle systems. Similar to other night vision devices, these scopes vary according to the different Generations, ranging from Gen 1 to Gen 4. Furthermore, digital night vision scope devices also occupy top positions in terms of quality and price. A night vision scope is a great tool for hunters and shooters. It gives crisp and clear image even when it’s pitch dark outside. Night Vision Binoculars are another popular type of night vision devices. 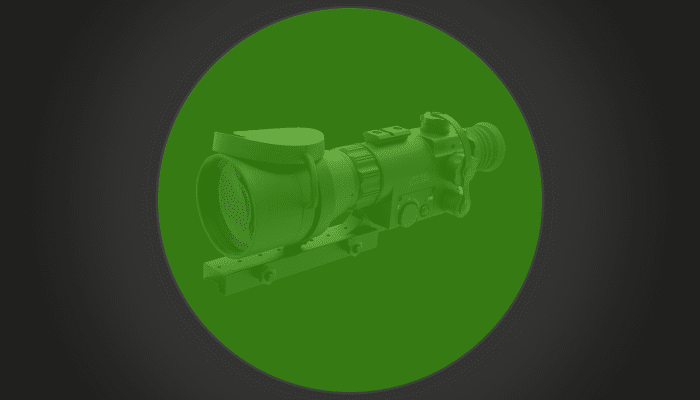 As the name suggests, night vision binoculars can’t be mounted on to other equipment such as rifles nor can be used as a headgear like the night vision goggles. Instead, they are pretty much used by holding them in front of the eyes, much like a regular set of binoculars. Night vision binoculars work by magnifying an image and amplifying the amount of light in the image. This enables the user to see more clearly even in very low light conditions. Unlike night vision goggles, night vision binoculars can’t be effectively used when in motion due to their magnification mechanism. They also have other limitations, for instance, that they can only offer you a quality night view until a certain distance. Most binoculars come with 2X image magnification. If used to view over exceptionally long distances, the binoculars may deliver a blurred result and will not be useful. The best use of night vision binoculars is for viewing in low-light conditions over a distance with the viewer stationary. We have an in deep guide article about this device with title: 7 Best Night Vision Binoculars 2019. Just check it to find the best fit for you. Also, if you need multi-purpose vision binoculars, day and night vision binoculars are the options you should aim for. A night vision monocular device shares similarities with night vision binoculars as well as night vision scopes. A night vision monocular basically has a single eyepiece. It is through this eyepiece that the viewer is able to get a clearer night vision. Monocular devices amplify light so that even in low-light conditions, the viewer is able to get a clearer picture of the objects. Much like night vision binoculars, night vision monocular devices are also handheld and can only be used effectively when the user holds it in front of his eyes while stationary. Night vision scopes are closely related to monocular devices. In fact, a monocular device that is designed to be able to mount on top of firearms such as rifles is known as a scope, or more specifically as a rifle scope. You can find more about night monocular at this our article 10 best night vision monocular 2019. Night vision goggles are a type of night vision devices. They feature dual eyepieces are unlike night vision scopes, they can’t be mounted on to rifles or other firearms. Instead, most night vision goggles come with headgear so that you can easily use them while in motion. This makes them perfect for such scenarios where you need night vision on the go, such as searching the game at night or going on a rescue mission in low-light circumstances. Unlike many other night vision devices, goggles do not magnify the image to improve visibility at night. Instead, the goggles make use of intensifier tubes to enable you to see objects at night. Some night goggles use individual tubes in each eyepiece while others offer the same image through both eyepieces using a single intensifier tube. Most night vision goggles come with sophisticated headgear or basic straps. Depending on your needs, you can choose the one or the other. A headgear or even the straps allow you to adjust night vision goggles in front of your eyes without having to hold them all the time. This leaves your hands free and you can easily use the night vision goggles while in motion. Thermal scope make use of thermal imaging. Humans and animals have a heat signature which means that their bodies emit heat all the time. Thermal devices are able to detect this heat using thermal sensors. This heat is then displayed as an entire image so that the user of a thermal scope feels like he’s looking through a camera. In reality, the device is simply displaying a thermal map. Basic thermal night vision devices display the differences in temperature in black, white and shades of grey. So if you are looking at a human standing in a field through a thermal night vision device, the human will appear as a shade of white or grey while the surrounding area will be black. More sophisticated thermal scope use a wide range of colors. They may display a human in red, a car in a shade of blue and an area with no heat in another color. This enables the user to get a clearer picture of the image in front of him. Thermal scope are very popular with hunters who hunt animals that have a tendency to hide in farms or plantation. These include animals like deer, and wild hogs. In case you are aiming for coyote games, you need specialized coyote hunting lights, that also mentioned in our blog. Firefighters also frequently use thermal devices to detect human presence through smoke and debris.